Great blog! Great progress! Did you get your teeth whitened before the MCC attachments went on or even before your initial treatment? Also, Do you recommend getting your teeth whitened before treatment so the attachments match the teeth in case teeth are yellow beforehand? Hi! I get that question lot! I've only whitened my teeth once back in 2008 using crest white strips. I personally would recommend whitening your teeth after treatment because if there are any rotations than not all surfaces of the teeth will get whitened. Once the teeth straighten out, they might have 2 different tones to them (if whitened prior to treatment). The material we use for our attachments blends in with any tooth shade. We use it on all of our Invisalign pt's and haven't had any negative feedback. 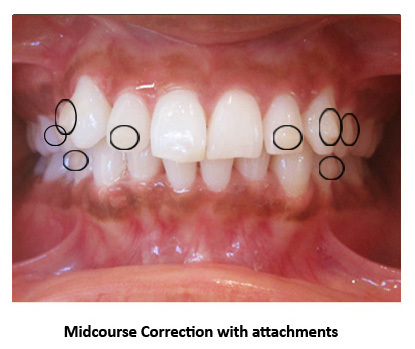 However, I would suggest getting a full dental cleaning and exam prior to beginning any orthodontic treatment. 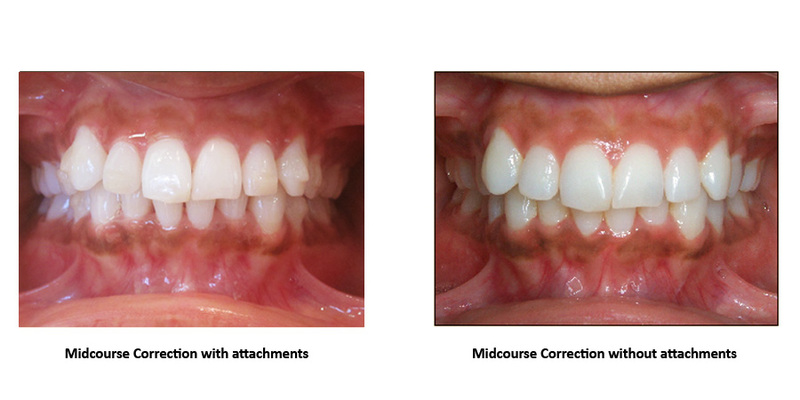 The hygienist/DDS can help remove some staining. I hope I helped!